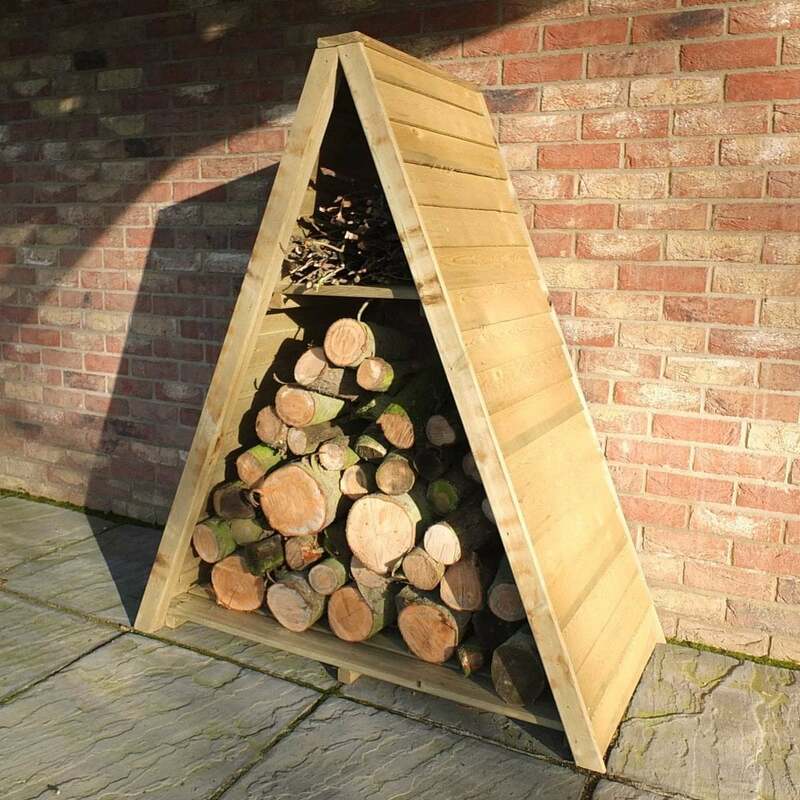 Shire Large Triangular Log Store Overlap: The Large Triangular Log Store by Shire is a decorative design of a traditional log store and will keep your logs tidy in a compact space. The Shire Log Store is made with classic overlap timber and features an open front and back with an open-slatted floor ample airflow to keep the logs dry. The Triangular Log Store has also been pressure treated to prevent against rotting and includes an integrated kindling storage area for a practical design.